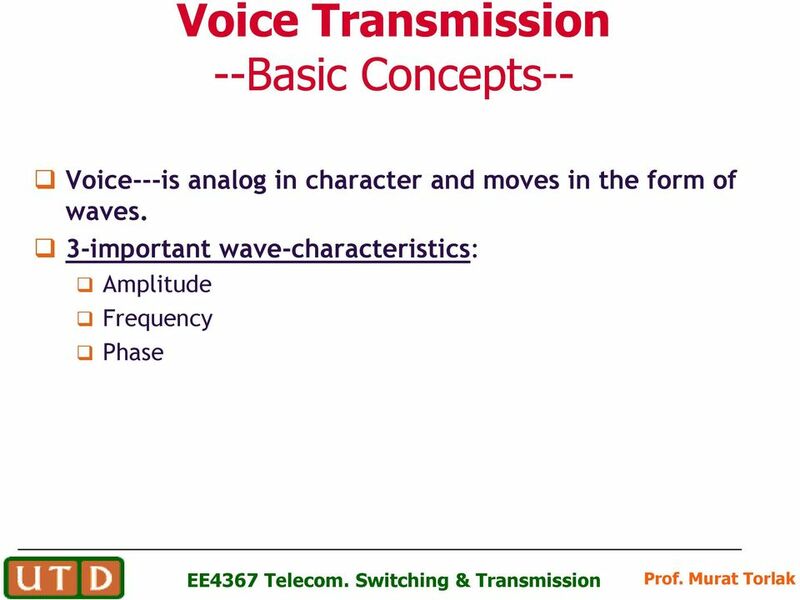 Download "Voice---is analog in character and moves in the form of waves. 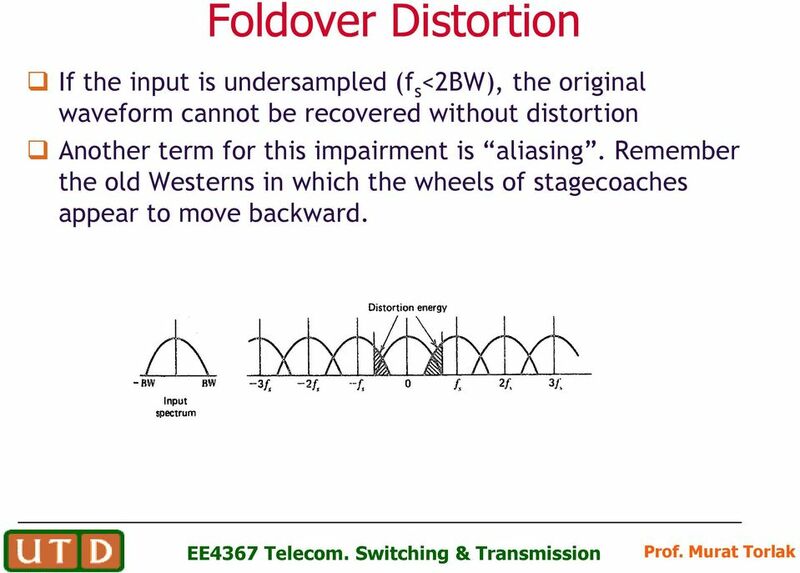 3-important wave-characteristics:"
6 Foldover Distortion If the input is undersampled (f s <2BW), the original waveform cannot be recovered without distortion Another term for this impairment is aliasing. Remember the old Westerns in which the wheels of stagecoaches appear to move backward. 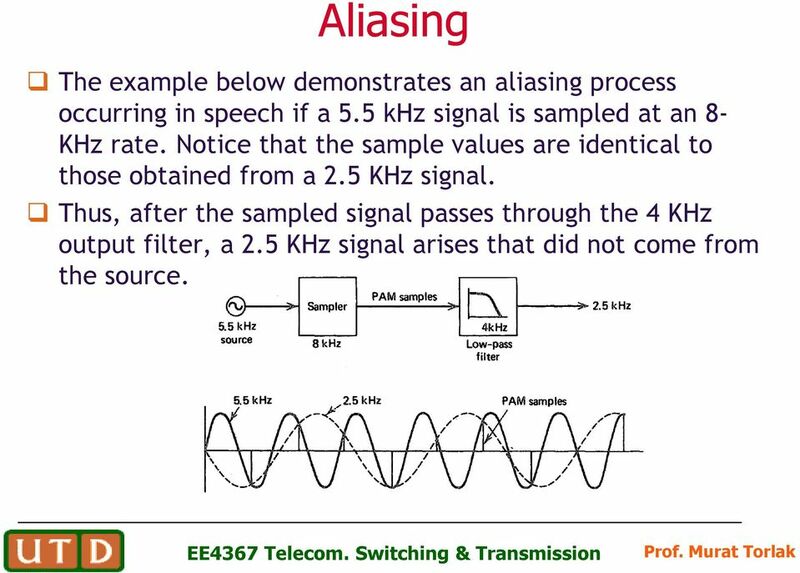 7 Aliasing The example below demonstrates an aliasing process occurring in speech if a 5.5 khz signal is sampled at an 8- KHz rate. 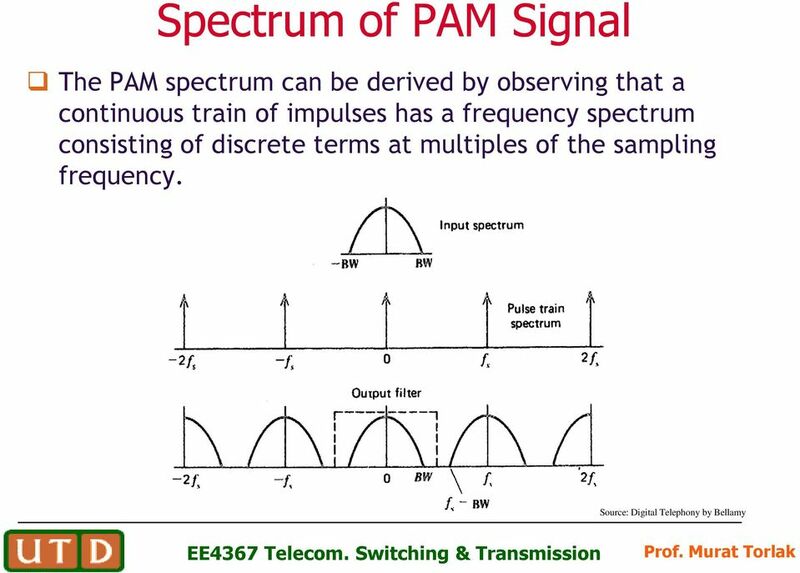 Notice that the sample values are identical to those obtained from a 2.5 KHz signal. 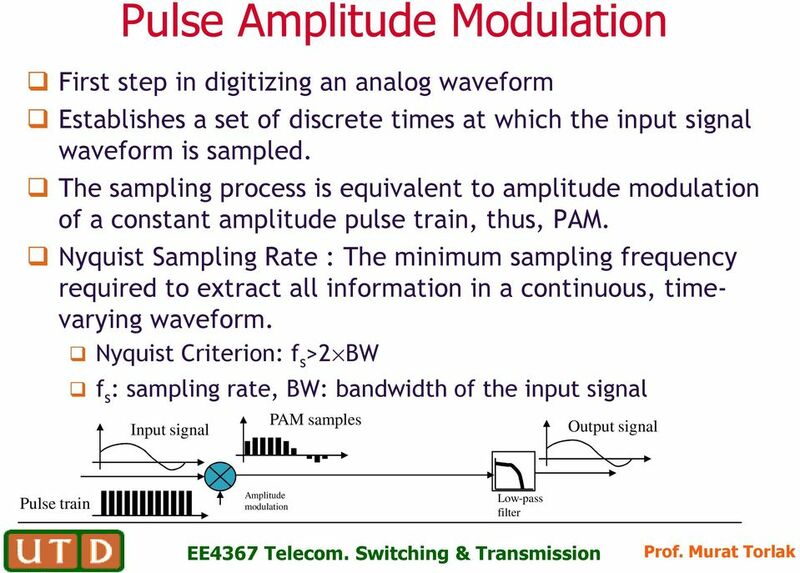 Thus, after the sampled signal passes through the 4 KHz output filter, a 2.5 KHz signal arises that did not come from the source. 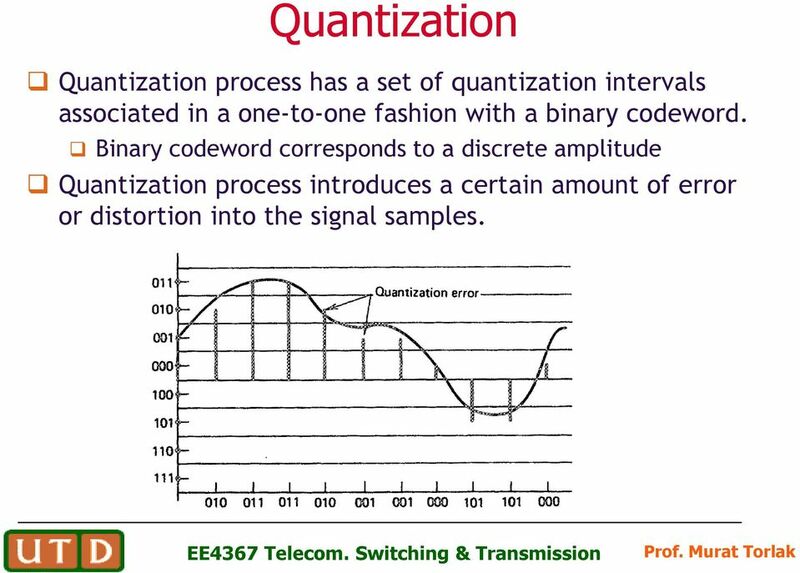 10 Quantization Quantization process has a set of quantization intervals associated in a one-to-one fashion with a binary codeword. 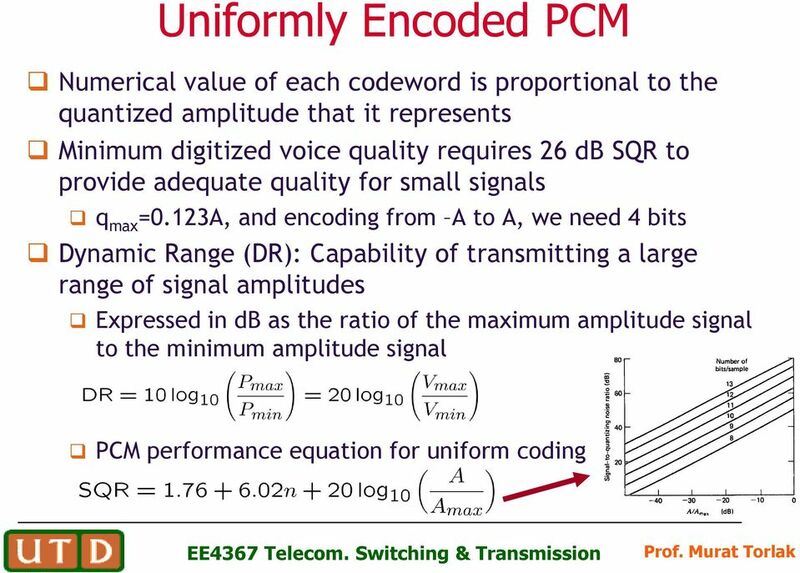 Binary codeword corresponds to a discrete amplitude Quantization process introduces a certain amount of error or distortion into the signal samples. 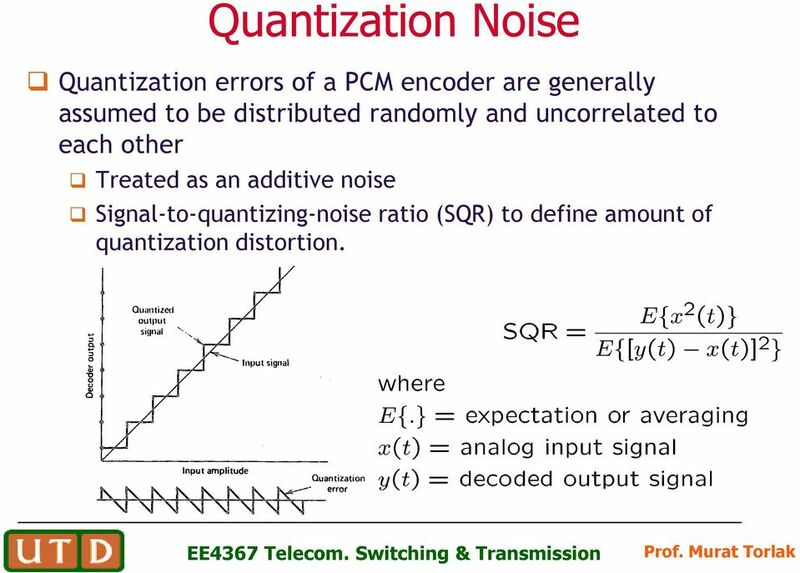 11 Quantization Noise Quantization errors of a PCM encoder are generally assumed to be distributed randomly and uncorrelated to each other Treated as an additive noise Signal-to-quantizing-noise ratio (SQR) to define amount of quantization distortion. 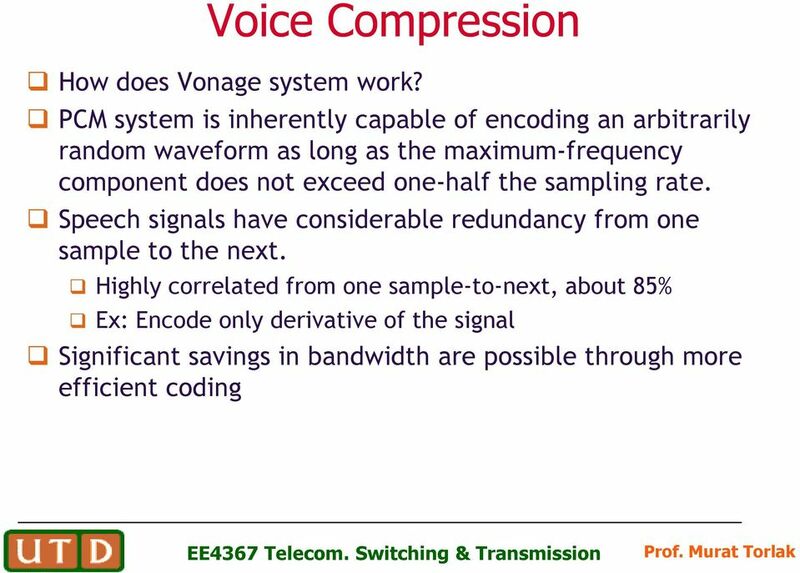 23 Voice Compression! 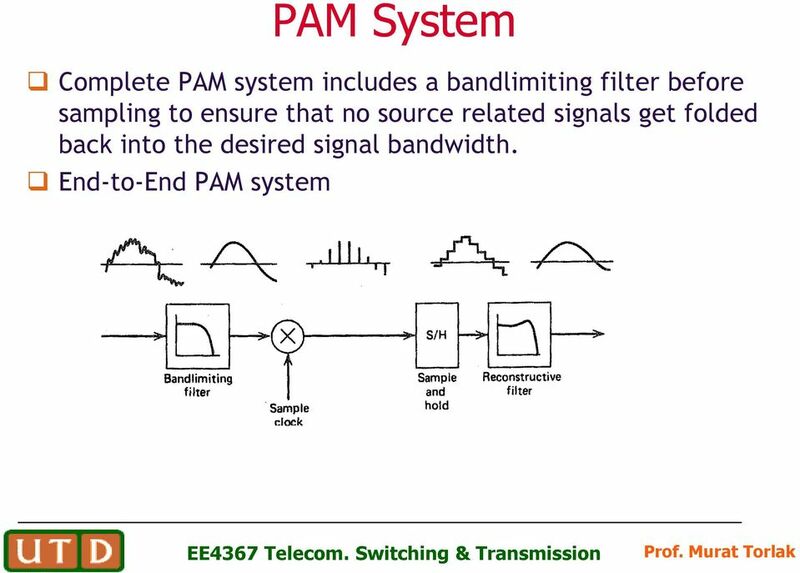 ADPCM--adaptive differential PCM-is also known as a voice compression technique, because of its ability to transmit 24 digitized voice conversations in half the bandwidth required by the PCM. 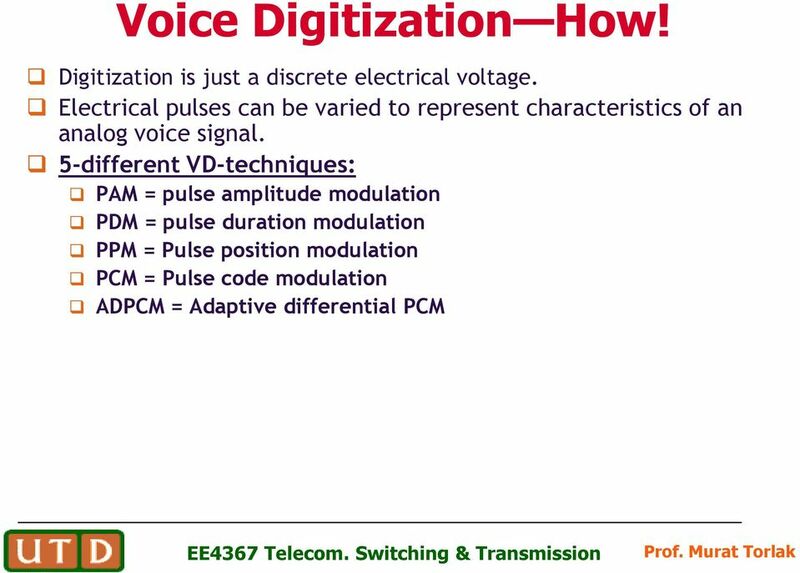 More advanced VCs use digital signal processors that take the digitized PCM and further manipulate and compress it. 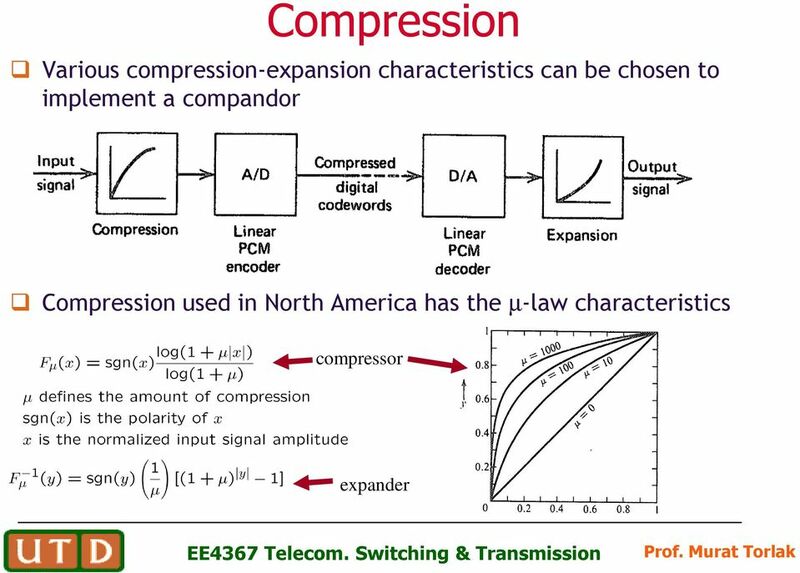 Each voice compression technique seeks to reduce the amount of transmitted voice-info in one way or another. 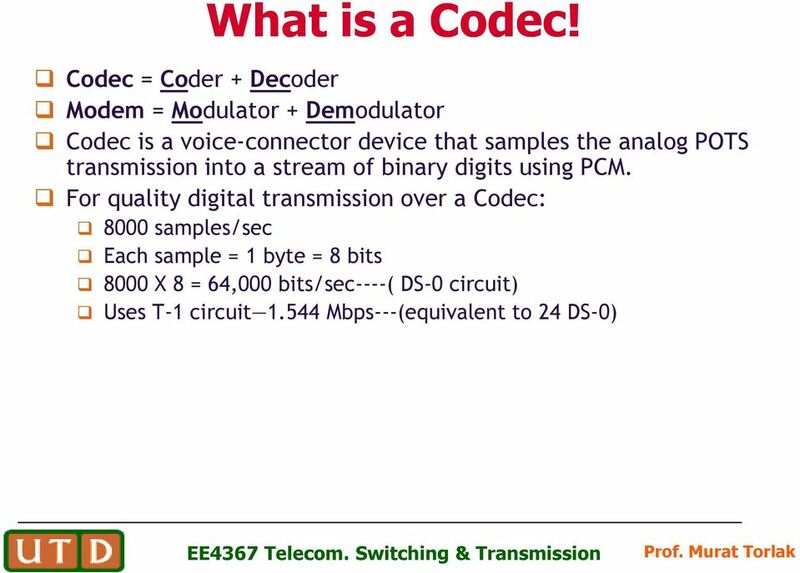 24 Differential PCM Differential PCM is designed specifically to exploit the sample-to-sample redundancies in a typical speech waveform. 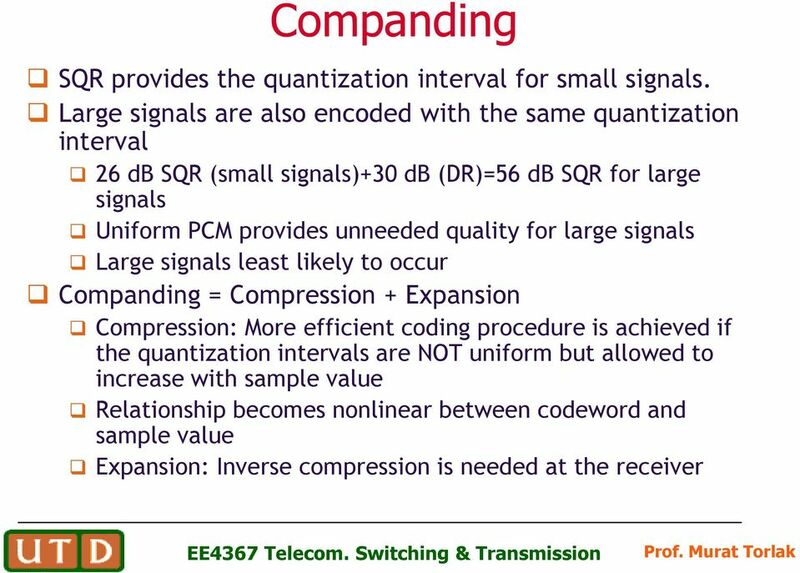 The range of sample differences is less than the range of individual samples, fewer bits are needed. DPCM is a first order prediction How do you predict the future sample? 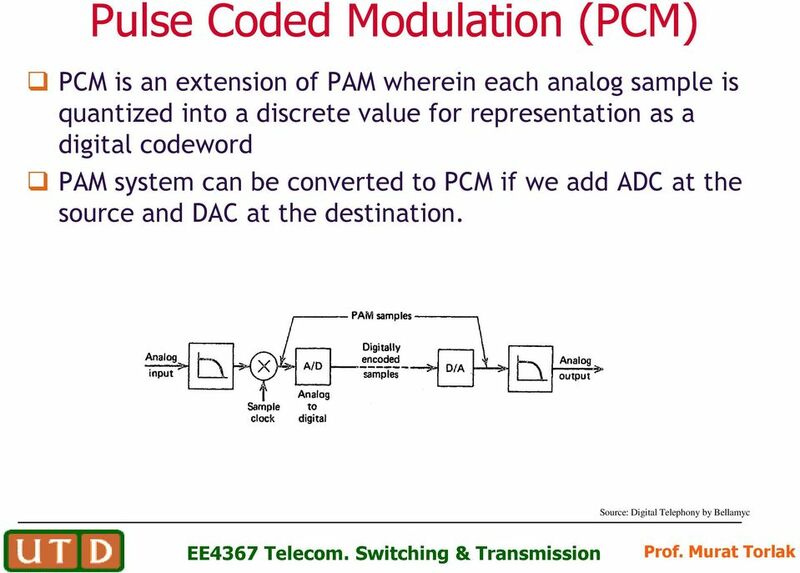 26 Adaptive Differential PCM Adaptation logic can be added to the basic DPCM algorithm to create what is referred to as adaptive differential PCM (ADPCM). 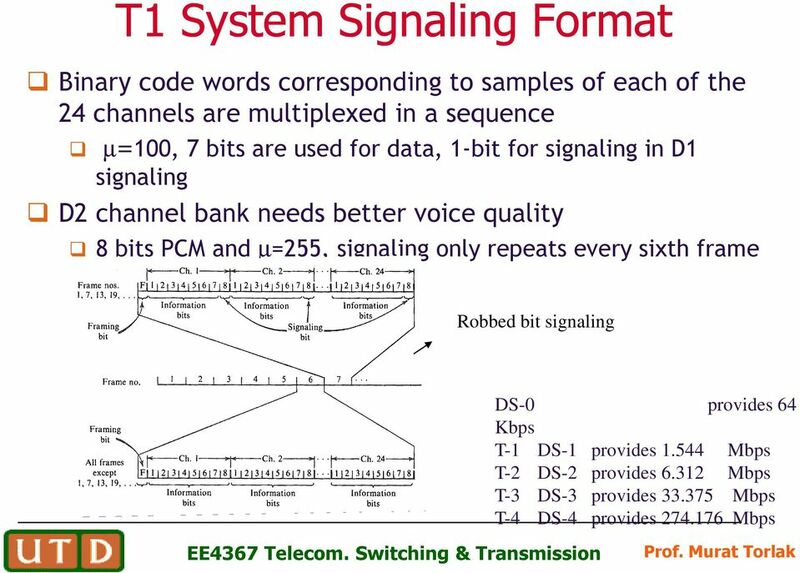 ITU has established a 32-kbps ADPCM standard (G.721) for voice messaging and for increasing the number of voice channels on a T1 line. 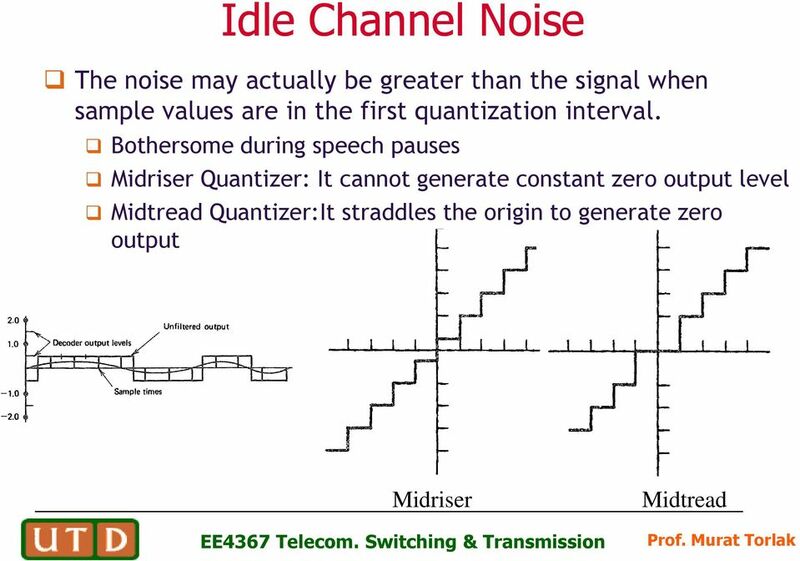 It uses a 8 th order predictor, adaptive quantization, and adaptive prediction. 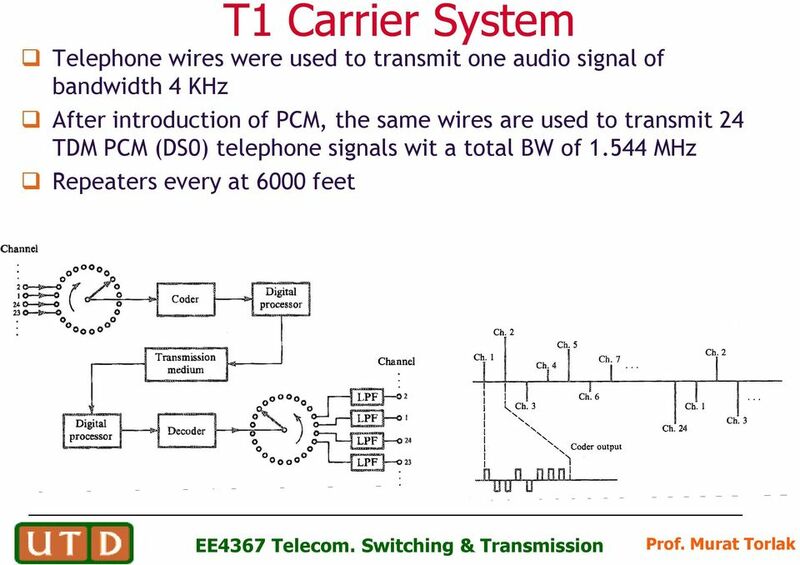 INTERNATIONAL TELECOMMUNICATION UNION ).4%2.!4)/.!,!. !,/'5% #!22)%2 3934%-3 '%.%2!, #(!2!#4%2)34)#3 #/--/. 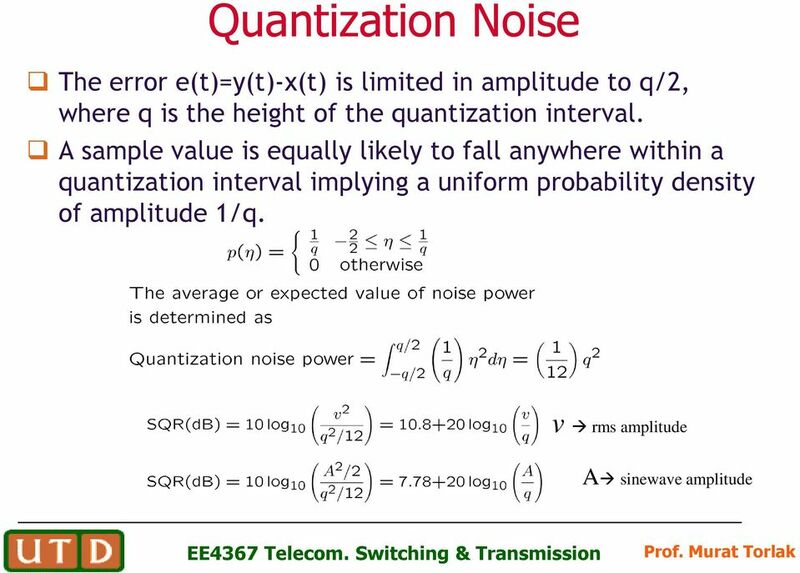 4/!,,!. 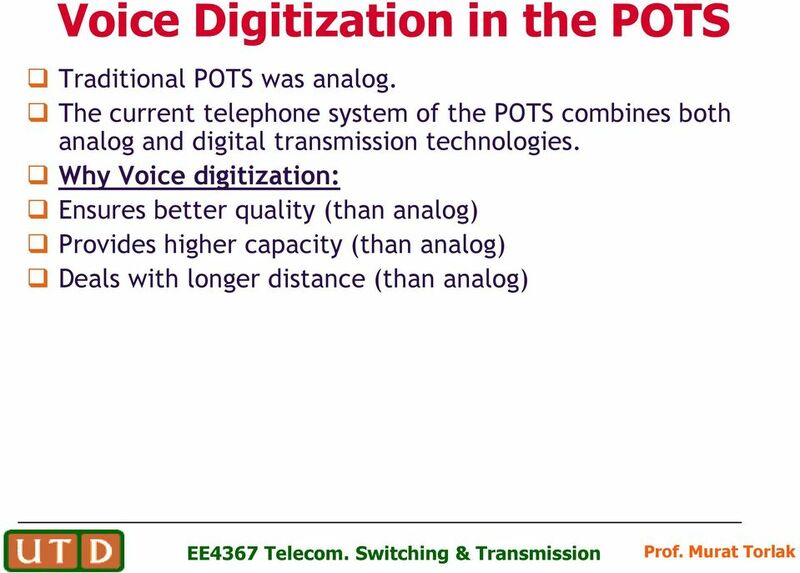 !,/'5% #!22)%242!.3-)33)/.